No Brexit please, we are Swiss! Picture from: svp.ch / Yes to direct democracy. Yes to self-determination. Picture from: sbi-nein.ch / No to the self-circumcision/determination initiative. On the 25th of November, in Switzerland, a referendum is planned on the so-called “self-determination”. If the “yes” wins, the Swiss Constitution should prevail again on the international treatises (Especially with the European Union), which sometimes relegate the former in the background. In short: Switzerland über Alles! Some newspapers, like the Italian “Corriere della Sera”, start speaking of a possible Swiss Brexit. I think that there should not be any alarm or fear for a possible, frightened “Swissexit”! – First of all: Switzerland is not in Europe, and is very keen to stay out of it. – Second: Swiss people, always careful with their wallets, would experience negative consequences if a lot of international treatises with Europe (main area for the export of the so-called “Swiss Quality”) are suspended. – Third: why should Switzerland lose the acquired economical advantages (regarding trades with Europe) and even from its privileged position of not having to satisfy the duties as the EU member countries? “No Swissexit: We are already out, we are Swiss”! On the coming 25th November, the citizens of Switzerland shall vote on some referendum questions. In addition to some serious subjects, there is one which is really strange! It relates to the so-called “Initiative for the cows with horns” and encourages the farmers to keep horns to their cows and sheep, instead of cutting them (as it happens nowadays on 3 cases out of 4). 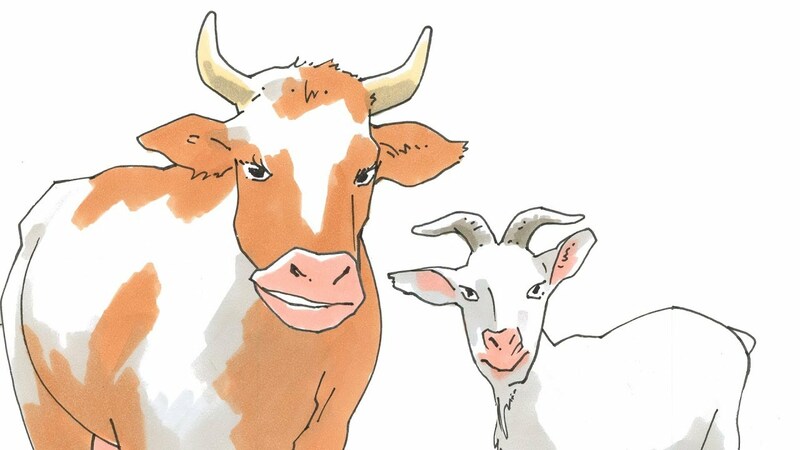 Points in favour of “yes”: The animals would feel better with their horns, but, because of that, they would occupy more space; therefore the State should give some financial support to the farmers owning “horned” cows! Point in favour of “no”: The animals with horns should be kept tied, and they would have a higher risk to injury themselves. Switzerland holds the first places in all statistics dealing with quality of life… Maybe even the cows’ one is taken into account! In these days all the world is astonishingly speaking of the referendum result which defined the (regretted) decision for UK to leave the European Union. Of course the efficient and practical Switzerland could not just stay still and watch. Just few hours after the referendum results were clear, the Confederation Foreign Ministry instituted a phone hotline 24/7, 7 days a week, to give information to worried citizens and businessmen. This is the meaningful phone number: 0800 24 7 365. 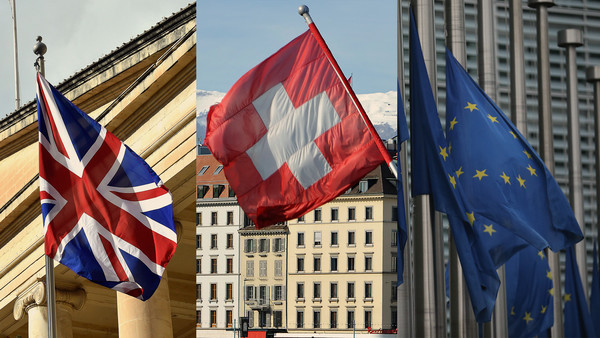 Although the electorate of the United Kingdom has voted to leave the European Union, current regulations regarding Swiss citizens and companies remain applicable for the time being and nothing will change immediately. No chance for surprises in Switzerland! Everything is explained! Everything is rational! Everything is citizen friendly! And this time is good like this! Switzerland is the country where almost every referendum is possible. You just need to collect a certain number of signatures and you can involve the (Swiss, of course!) population to decide on the most different matters (https://www.ch.ch/en/popular-initiatives/). Internet is even giving a clear overview of the initiatives which are pending and need still to be approved (https://www.ch.ch/en/pending-initiatives-referendums/). I think this is a great example of popular democracy and liberal political behaviour. Therefore I thought every Swiss should be proud of this and eager to let everyone know their opinions. I asked one colleague of mine: “What will you vote on the next referendum about the possibility to have only one state health insurance instead of the various current private ones?”. With an answer which let me shocked, he just said that he did not want to let other people know his vote. Welcome to Switzerland: the land of liberal thoughts, free initiatives and secret political and civil opinions!